If there’s been a theme of this week so far, it’s been the set up for the redemption of Adam. In all of his darkness and horrible behavior, you see one shining light inside of him…his love for Sharon. In noticing this phenomenon, it allowed me to write about two of my favorite things…Star Wars and The Young and the Restless. Darth Vader has always been a powerful symbol for me that there is no person or situation beyond redemption. 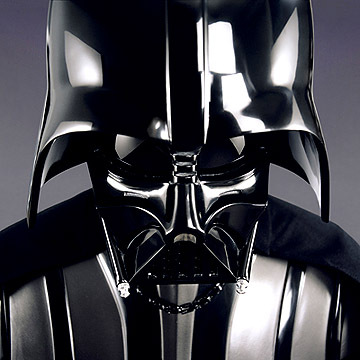 For those wayward souls who aren’t familiar with the Star Wars trilogies, Darth Vader is the central figure. The six films show the rise of Anakin Skywalker, whose proficiency and talent make him “The Chosen One”, from a slave, to a Jedi Padawan to the hero and Jedi General of the Clone Wars, his descent into darkness as the evil Sith Lord Darth Vader, and his ultimate redemption to fulfill his destiny. I kind of glossed over the “decent into darkness” part. When I say he descended, he DESCENDED, killing just about all of his former Jedi friends, including children, strangling subordinates who failed him to death with the power of his mind, and just being a bad dude. If you only saw the original trilogy, you may be surprised to learn that the whole reason Anakin Skywalker became Darth Vader was over a woman. The Force being so powerful in Anakin, he had dreams that were visions of the future. He dreamt of losing his pregnant wife while she gave birth to their twin children, Princess Leia and Luke. He was so desperate to prevent this from happening that he betrayed the Jedi Order to learn the secrets of cheating death from the evil Sith Lord Darth Sidious, who was also the Chancellor and eventual Emperor. Of course, once Vader agreed to switch, Sidious told him he didn’t know how to do any such thing, but they’d figure it out. To make a long story short, Vader eventually ended up choking his wife and…she died during childbirth, with Vader not knowing he had children. With seemingly nothing to live for, Vader submitted himself completely to the Dark Side. 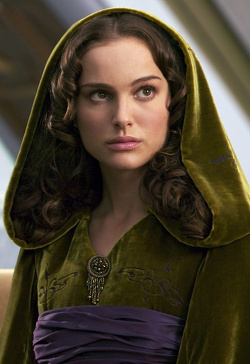 However, his love for Padmé was his one shining light that eventually redeemed him. I’ve spoken for a while about Adam’s path to redemption. In some ways, the writers at Y & R have painted themselves into a corner by having Adam do some of the most despicable acts in Y & R history. However, Michael Muhney has done such a wonderful job in his portrayal that you alternately hate Adam and feel sorry for Adam. They haven’t made clear that Adam actually killed Hightower, so they have an out in that way. However, his actions this week may make it moot. In spite of everything Adam’s done, his love for Sharon is something that inspires the best in him, whether it’s saving Noah or calling off his lawyer from Sharon at the risk of his own freedom. I think this week is a tipping point for Adam. We should know by Friday whether or not Adam has a long term future as a character on Y & R.
Didn’t know it was possible to be a fanboy for Genoa City and Tatooine.